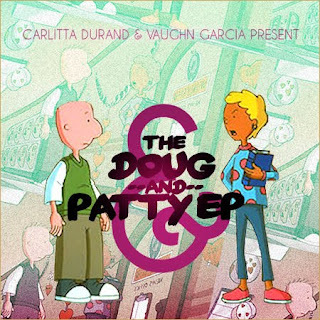 Vocalist Carlitta Durand teams up with producer Vaughn Garcia on this nice little concept EP. Man I miss this cartoon! Ms. Durand has worked with the likes of Little Brother and Foreign Exchange. Truly an amazing voice. Gamers rejoice, Team Teamwork (some group out of Massachusetts supposedly) put together 11 tracks of music from Zelda: Ocarina of Time mashed up nicely with some classic rap. Creative I must say. Who knew Zelda mixed with hip hop just works? Stumbled on it the other day. Probably pretty late on this one, but ah who cares? I love their use of some familiar drum breaks, most notably in track 3 with that Paul Simon sample (Common - Forever Begins). Good stuff. Download here. When it asks for a $ amount, just put 0. We wish our extended hip hop family across the globe a safe and love-filled holiday season. Please keep working for peace, sustenance, and justice for all, doing what you can to make the world a better place for all of humanity. Bless up! Someday at Christmas, there’ll be no wars…. Silent Riot from Tina Yonas on Vimeo. Documentary about Illegal billboarding and Graffiti and the discrepancies between how the two get treated judicially. I can't stop watching this video! Weezy + Flying Lotus = Dope. Intuition - Al Bundy from Lee Shaner on Vimeo. Stay tuned for Intuition's album, Girls Like Me, which should be dropping in January.